Working in this industry provides me with the opportunity to spend every day in areas that are so important to me. As an Ottawa wedding photographer, I am able to not only create art on a daily basis, but I’m able to serve people by capturing some of their most precious memories and get to know them in a very unique way! Marise and Daryl are a couple that are so close to my heart because of the relationship that we have developed. I had the chance to photograph their Mill of Kintail engagement session last July, and we instantly clicked. We got along very well, so of course I was disappointed when I was unavailable for their wedding date. However, my associate shooter, Alicia, was able to shoot the event for me, and I was still able to feel like a part of their wedding day by doing the editing! I am so excited to be able to see them again, as I’m shooting their bridesmaid, Kate’s, wedding on NYE this year! Marise and Daryl’s waterside Cove Country Inn wedding epitomizes everything we love about summer and was such a relaxed and beautiful affair! Marise chose a timeless colour palette of blush, white, and gold, and she looked stunning in her lace Mori Lee dress. They pulled in some darling rustic and natural elements to their décor, which fit the venue and vibes of the day! 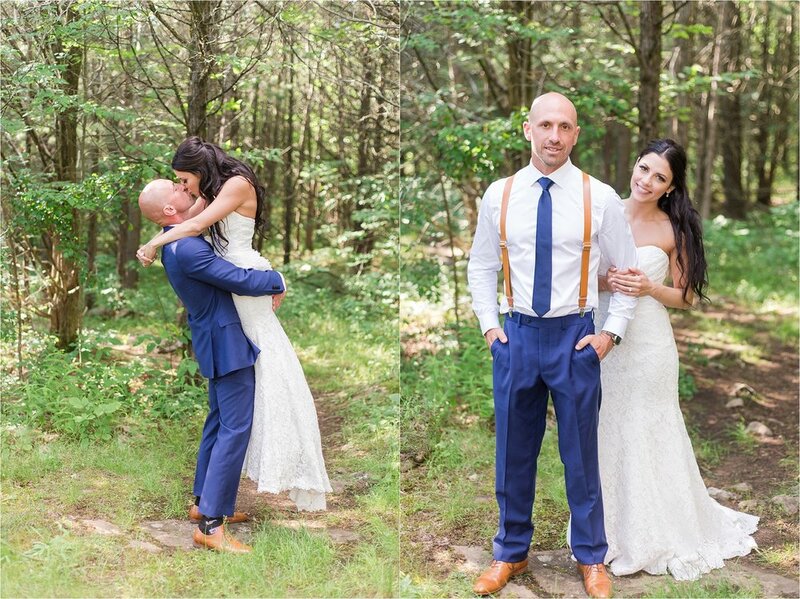 After their intimate ceremony by the water, they head up to Foley Mountain for bride and groom portraits and were able to capture the most incredible views… and I’m not just talking about the nature! The rest of the evening was filled with family, friends, and food. It was arguably the perfect day; check out the photos if you don’t believe me! Congratulations, Daryl and Marise! Special Thanks To: Seamstress Eva Cueto!